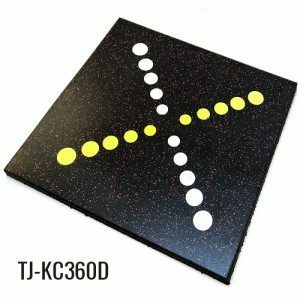 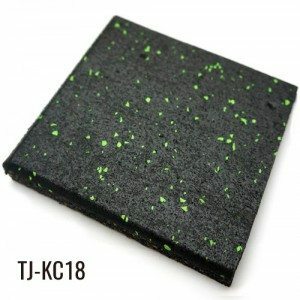 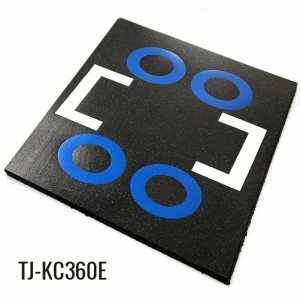 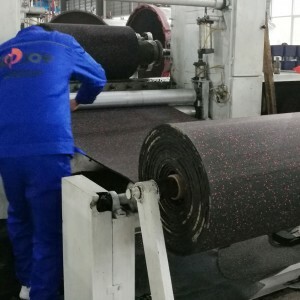 We are a manufacturer of rubber flooring. 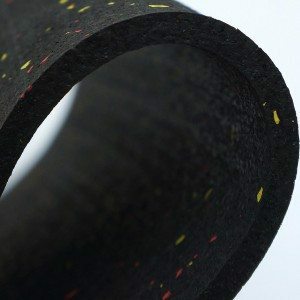 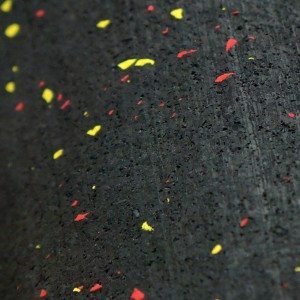 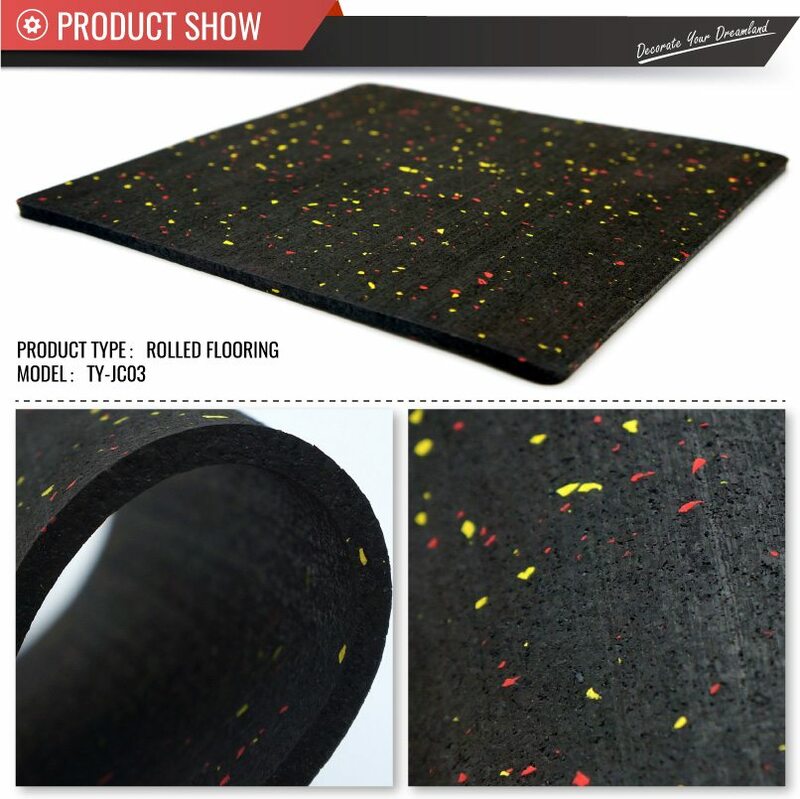 This type rubber rolls is made of black rubber and yellow red EPDM fleck. 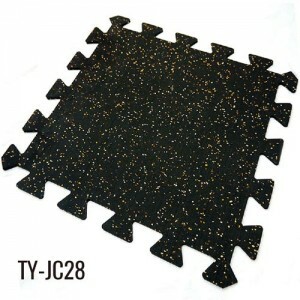 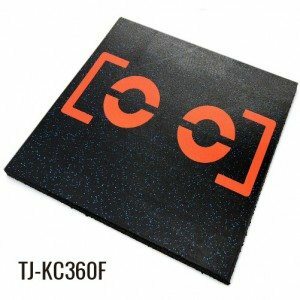 It has good anti-slip, resilient and durable. 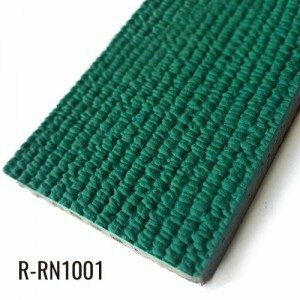 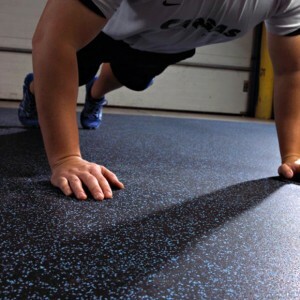 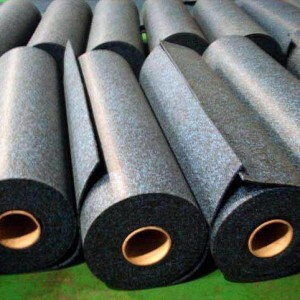 Our rubber rolls flooring has many colors, such as black grey and other colorful with EPDM granules. 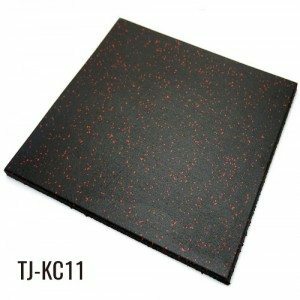 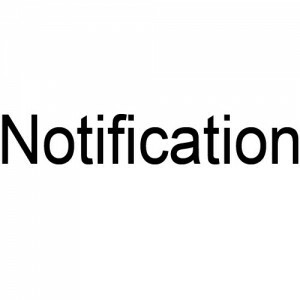 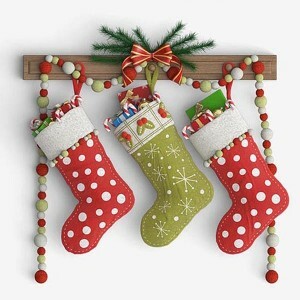 We can be customized color according your requirement.